Aircraft, Instrument, Ball, Medical Equipment, Metric, Lawn, Exercise, Laboratory, Packaging, Revolving, T-Handles, Hospital, Food Service Knobs & Handles. Rubber feet and adhesive rubber feet, made in various shapes and sizes, used in thousands of applications. Beam clamps made from Carbon Steel, Malleable Iron, Forged Steel & Stainless designed to attach hanger rods to structural members without drilling or welding. Heat treated clips provide solid connection to round and square tubing. 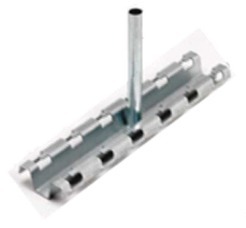 Adjustable, Nail, Swivel, Heavy Duty and Snap-On Glides and Leg Levelers. Plastic caps and plugs, netting, tubing, containers and masking devices.